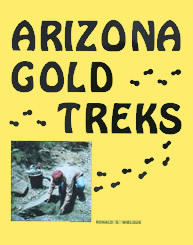 Find Arizona's hidden gold placers! You can do it with the information contained in this book. If you have the determination and a little knowledge, the Arizona desert sands conceal secret gold placers, just waiting to be discovered - by you! Paperback, 8.5" x 11", 95 pages.